NHS of the Fox Valley held its 2015 NeighborWorks Day on September 26, which consisted of a resource fair and volunteer painting projects. 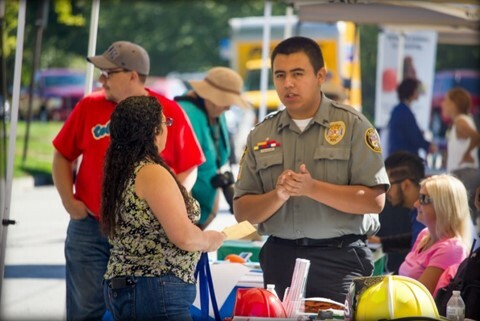 The resource fair saw NHS working side-by-side with eight local community resources to provide: housing services & grants; children’s activities & food zone; and emergency preparedness & safety awareness. The event gave residents of the Jefferson Avenue block, located on the Eastside of Elgin, an opportunity to network with neighbors and obtain information regarding the variety of programs and services available within the community. The painting projects consisted of ten adult and teenage volunteers who lent three hours of their time painting a fence and staining a handicap ramp that were in desperate need of a makeover.